FIFA World is the biggest competition on this planet earth and in just after 2 days it starting in Brazil from 12 June. The possible top 5 teams who are likely to score loads of goals in the World Cup. The first one on the list is Brazil, playing at home ground with so much talent they are certainly the ones every football fan will be looking to watch. The favourites are favourites for a reason, and there are five distinct teams that sit in that category. However, there’s a dark horse that is no longer really a dark horse making a claim to be a favourite for the competition too. Can one of the favourites live up to expectations and claim the Jules Rimet Trophy? The hots are natural favourites. They have home advantage, a World Cup-winning coach in Luiz Felipe Scolari and a squad full of talent.They will want to perform in front of their passionate fans and Brazil’s chances rest firmly on how they deal with the heat of expectation.Their victory over Spain in last year’s Confederations Cup final showed the world that they are indeed a force to be reckoned with, and not just because of their history and their host status.Brazil have undergone a transformation in recent years, with many of the household names of the last decade now gone. Brazil’s defence is surprisingly its strongest asset, with Thiago Silva’s experienced head crucial in a central partnership with David Luiz.Elsewhere Brazil have the exceptional talents of Oscar and Neymar, and while Fred might not be the flashy No. 9 fans crave, he’s effective and gets the job done.If there’s a man to lead Brazil to their sixth World Cup title, in front of a home crowd, then it’s coach Big Phil. He has the passion and the skill to steer this side to a historic victory. Led by the unequivocal talents of Lionel Messi, Argentina are close behind Brazil in the favourites table. 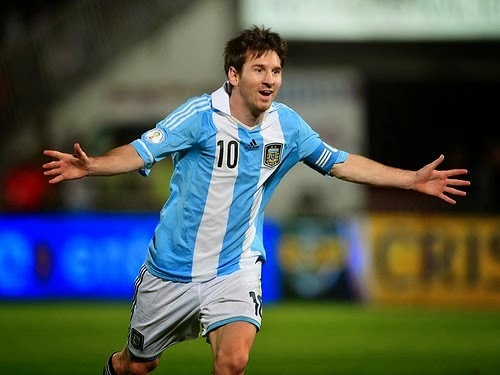 Star man Messi will be looking to prove himself at international level, having failed to score in 2010. He will be ably supported by a plethora of attacking talent, including Sergio Agüero, Gonzalo Higuaín, Ángel Di María and Ezequiel Lavezzi. Romero is likely to get the nod, but he’s hardly played any football at Monaco this year. Germany’s preparation for the World Cup hasn’t been ideal. Injuries to Manuel Neuer, Philipp Lahm and Bastian Schweinsteiger had their spine looking a bit shaky. And that’s just the on-field news.The Nationalmannshaft still have doubts over who will play in the defensive midfield role. Lars Bender’s withdrawal due to injury means that Joachim Löw will be sweating on Sami Khedira’s race for fitness after ACL surgery. He’s the ideal partner for Toni Kroos in the second of two holding midfield spots.Otherwise the uncapped Christoph Kramer could play there, with Schweinsteiger fighting for fitness. Lahm could also be unleashed in the midfield, having excelled there with Bayern München, with either Kevin Großkreutz or Jérôme Boateng trusted at right back. The other question is who will play up front. With Miroslav Klose the only recognised striker, it seems Löw will play with one of Mario Götze or Thomas Müller as a false nine. Germany’s lead-up has been disrupted, but they have the talent to go all the way. Their depth is second only to Spain. 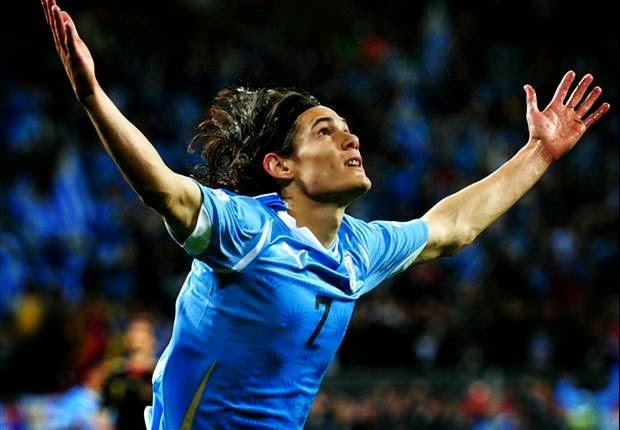 Probably the best goal scoring centre forward in the world at the moment, Luis Suarez will leading the attack for uruguay and his partner in crime are Edinson Cavani and 2010 world cup top scorer Diego Forlan. They did not had the best confederations cup but their quality of their squad if in top form is pretty much irresistable.Suarez finished as the top goal scorer in premier leauge and by a mile having played far less games due to early season ban, his goal scoring ratios is almost run a game. They kind of form he is in I can see a couple of good goal scoring games for Uruguay and I can expect them to pip either Italy or England for a place in the knockout stages. Another quality European outfit, dark horses or the outsider whatever you would like to call them. The team is just packed with quality squad all around the pitch. 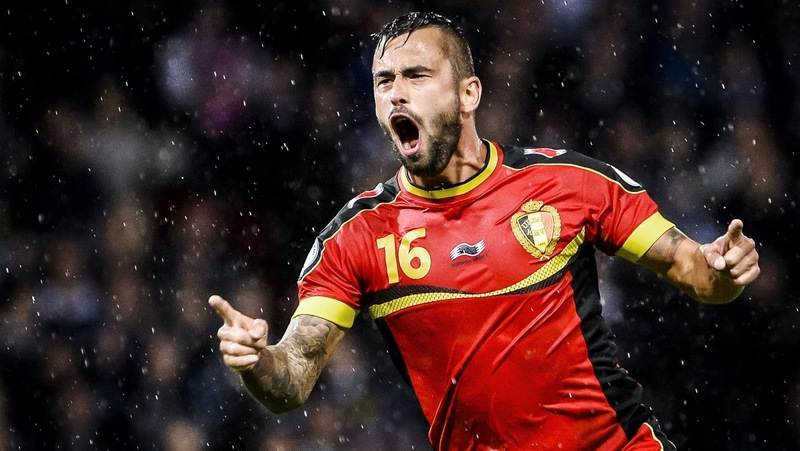 Coach Marc Wilmots can almost boast a second player in every position. Up front may be a problem, with Christian Benteke ruled out, leaving a huge burden on the young shoulders of Romelu Lukaku. But he has never been short of confidence, even before his breakthrough season at Everton. Belgium have a solid spine, as most of the top sides do, starting with Thibaut Courtois in goals, Vincent Kompany shoring up the defence and Marouane Fellaini bossing the midfield. Throw in Eden Hazard, Kevin Mirallas and Kevin de Bruyne and you can understand why they’re so highly rated.